Thar an Trasnán: Sunday June 11 - The Championships Continue! Next Sunday sees the senior football championship really get off the ground with 6 of the 7 teams in action. Galway will take the field for the first time facing the Wolfe Tones. The Tones were pipped by the Connemara Gaels last Sunday and will be looking to make amends. With a dangerous forward line containing Cormac McWalter, Shane McGuinness and Shane O’Rourke the Galway backs will have their hands full. The Blues also see their first championship action against Christopher’s, another side that fell at the first outing last Sunday. The Blues have done their homework well in putting together a very good home based side and will have looked on with interest last week as Christopher’s at times played some flowing football. This will be an interesting one. Donegal take on the Gaels, who came through in the end last week to win. Another club that seems to have done their homework, Donegal will present a tougher challenge than the Tones and will be looking to make up for a poor performance in their last game, the Pat O’Brien Cup final two weeks ago. The Gaels have some aces up their sleeves, but cannot afford the start that they had last week if they want to get a result from the game. Junior football action starts, with the junior A’s from McAnespies, the Tones, the Gaels and Cork all making their first outings of the season. Kerry make a welcome return to action when they travel to Hartford to commence the junior B football championship. 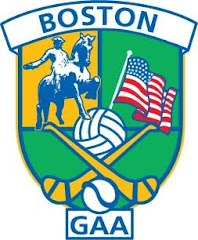 The junior C hurling championship also continues with Providence taking on Worcester in Providence.